Shown every Friday 15：29～15：59 on RBC (Ryukyu Broadcasting Corporation). Elementary school students will plan and shoot films based on the theme of "Smile". Since this is obviously a first experience for them, Yoshimoto performers will visit their schools to help them produce their films. So what kind of films will they make based on the theme of "Smile". The films that they create will be screened at the Okinawa International Movie Festival in March next year. 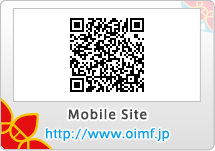 We are looking for junior high and high schools in Okinawa to express their "school pride" in video for the Okinawa Youth Moview Festival. It doesn't matter what it is that you're proud of, whether it’s the most popular person in the school, famous teachers, or great spots at the school. We hope that you will be able to learn the joy of making films, as you show pride in your school. Check the guidelines for applicants at 「ラフピー！」official site! At Laugh-P!, we are looking for musicians active in Okinawa. The only condition is that you haven't yet released a CD with a major label. 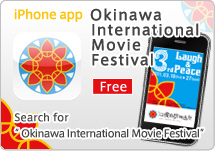 Several of the best applicants will have the chance to perform live at the Okinawa International Movie Festival, to be held in March 2011. Anyone can apply, from elementary and junior high school students to prospective professionals! If you are an Okinawa musician that thinks you fit the bill, go ahead and apply! We will introduce the videos you send us on Laugh-P! We are looking for photos of smilling grandparents (Ojii-chan & Obaa-chan) taken by grandchildren of or younger than elementary school age! We will find indie musicians that have left for Tokyo (or Osaka) in search of their dreams, and have them record a "song letter" which we will share with their loved ones back home in Okinawa.